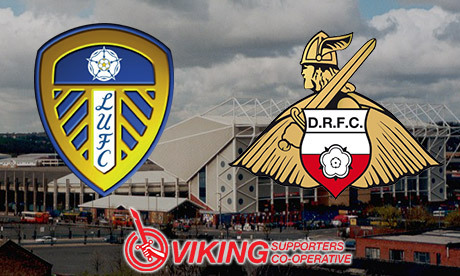 So on to Leeds United and Elland Road – both relics of the past in many ways. No doubt the wheelie bins have been taking a pasting in darkest West Yorkshire lately as United have had their defences breeched 16 times in the last five games. Now that the Football League has put the kaibosh on Massimo Cellino’s bid for ownership, fans are more worried about their club’s future than what’s happening on the field and, judging by recent results, so are the players. That said, we’ve never had much luck against our neighbours from West Yorkshire since that play-off triumph and, as the United board seem to think visiting fans should service their debt, there probably won’t be a significant away attendance this weekend. Some clubs get sympathy when they are in dire financial straits but maybe the sympathy should be reserved for Leeds’ creditors given what’s happened in the past. The authorities are likely to take a very dim view if administrators are called in again - might this be the last time we meet up with our misguided old friends the Donny Whites before they start looking up locations in the Evo Stick League? It’s 24 years since we last won at Turf Moor and Burnley haven’t lost a league game at home for more than a year. 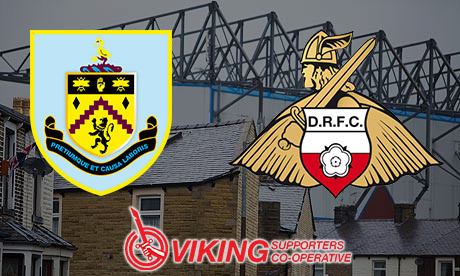 We have only won once of the road all season, which just so happened to be against the Owls back in September, so it’s a foregone conclusion that we ain’t going to get much from our trip against the Pennines this week – or is it? Championship form is notoriously fickle and you could argue that this is a bonus fixture for Rovers after three wins and 10 points from a possible 12 in our last four. Sean Dyche’s team looked organised and hard-working when winning at the Keepmoat in the autumn but still needed a penalty and a late own goal to take the spoils. Top scorer Danny Ings is injured and maybe the Clarets will just be a little distracted ahead of a potential title decider against Leicester next weekend. On current form, Rovers need to fear no-one and Turf Moor is as good a place as anywhere to upset the odds. 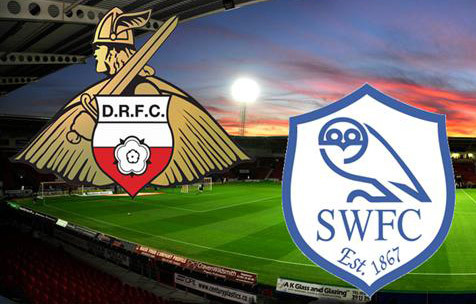 The Owls have yet to score a goal, least of all pick up a point, at the Keepmoat Stadium. Records are made to be broken, of course, and Belle Vue often provided easy picking for our friends at the other end of the M18. But Rovers haven’t lost at home since Boxing Day, and after last week’s well-earned draw at Forest following on the back of back-to-back wins, we have put a bit of daylight between ourselves and the bottom four, though there is still plenty of work to be done. Wednesday have been transformed since Stuart Gray took over the reins from Dave Jones and have all but secured their place in next season’s Championship, but their results have been hard to predict lately. They have a tricky fixture against QPR on Tuesday and they’ve lost their last two away games at Yeovil and Wigan without scoring. A similar scenario on Saturday would do very nicely. Copps and Billy are no strangers to the City Ground – both have spent time on loan there in the past. But they spent more time warming the bench than actually showing Forest fans what they could do –let’s hope the finally see how could they can be this weekend. Thankfully, Forest’s own ‘King Billy’ (manager Davies) is serving a touchline ban. Those in an around the technical area wouldn’t have been looking forward to a re-run of ‘Braveheart’ with our own Highland Warrior in the opposing dug-out! We’ve not done badly at the City Ground in recent years. Who can forget our season-changing win on Boxing Day 2008 when Richie Wellens was one of the scorers? Our current skipper is due to open his account second time around – he’s been getting closer of late. Even ‘The Experiment’ managed to pick up three points thanks to goal machines Frederic Piquionne and Kyle Bennett. On a more serious note, though, great to see young Kyle on the score-sheet for Bradford at Colchester the other night. Much has been made of Forest’s recent injury crisis but nobody in the media ever mentions how badly we’ve suffered this season – let’s hope we can get in some defensive cover before the loan window shuts. Andy Reid has had a storming season for ‘ The Tricky Trees’ and Donny lad Darius Henderson has also been getting more game time lately. But, if our makeshift defence can keep that pair quiet, we could yet steal another three points from Robin Hood country. Rovers take on Watford tonight in the hope of keeping up the good home record which shows them being unbeaten at home in 2014. Dickov knows that another performance like the one on Saturday will be required to beat a strong Watford side now coached by Italian Beppe Sannino. Dickov had a lot to say about the South Africa v Brazil game at last week. He has sent a get well soon message to Bonghani Khumalo, following his terrible first half injury which will sideline him for 18 months. " Apart from being a top professional, Bongs is a great lad as well." " The lads all want to keep in touch with him." Dickov is looking to bring in a loan replacement, either a centre half who can play right back or vice versa, but it may not be in time for tonight. Dickov is looking to build on the good performance at the weekend, the 2-0 win over Huddersfield, he wants more of the same. " We know our home form is good, we've beaten a lot of good teams and Watford are no exception." " We seem to keep our best performances for the top sides." " We have to address our away form, but if we can build on Saturday's result, it will give us a good chance of pulling away." "We need to do the same again without the ball, and I feel if we can keep our discipline without it we can beat anyone." In the reverse fixture Watford won 2-1 with both goals coming from Lewis McGugan, who, along with Fer5nando Forrestieri is looking to return after injury. Watford will be without Fitz Hall (nickname "One size"), Almen Abdi and Chu-Young Park who are all ruled out due to injury. Joel Eckstrand will be serving his second game of a suspension and Samba Diakite will miss the game as he is not match fit, although much better. Recent short term singing, Austarlian defender Lucas Neill could make his debut.